Money earned can either be consumed or saved. When money is saved it can either be hoarded or be invested to enhance its value. An investment project requires information about the various avenues available. Money is often a scary thing to deal with, especially those who have never worked with it in detail before. Investing for the future can be even scarier. Still, even young men and women as well as those preparing to retire need to know the basics of investing to prepare for the future and insure their financial freedom. 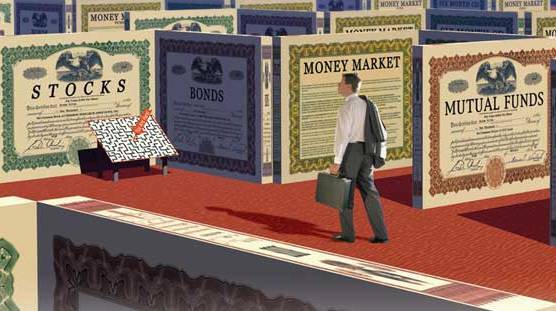 An understanding of what assets are, what kinds of assets are out there, and specific tricks of the trade will help beginning investors start on their journey to economic security. The general term used to refer to the investments made is ‘assets’. Assets reflect one’s investment in cash, bonds, stocks or other sources that generate income. Out of the various assets available for investment, the most common one is Stock. Stock refers to the shares of the companies. Assets are investments in cash, bonds, stocks and much more. They are basically a combination and melding of everything someone owns or is owed. An asset class is basically a general term referring to the wide variety of investments that can be made by today’s investors. Asset classes include things such as stocks, bonds, and cash equities. Before investing, an understanding of assets classes and the pros and cons of each is a definite must. When an investor buys the shares of a mutual fund, he becomes the shareholder of that fund. According to their investment objectives mutual funds can be divided in to various categories. They are considered to be a safe investing option as they are cost efficient and easy to invest in. The investor usually does not have to decide between various scripts to invest in. Cash equivalents are safe option to invest in for the risk averse. These assets are characterized by liquidity, price stability and a regular income. The only drawback is that the return in case of cash equivalents may be low as compared to that earned through the stock market. Many people invest in real estate to earn a regular income. Their strategy is to invest in the properties and rent them. These properties then provide a steady stream of income. An investor should select the most appropriate asset to invest in, depending on his financial capacity and the returns he expects. An investment in the future helps one to prepare for the unforeseen and secure one’s financial freedom. Investors should also be caught up on the benefits of diversification when planning the allocation of their assets. Diversification refers to the placing of investments in several different asset baskets to avoid the potential horrors of high risk investing.